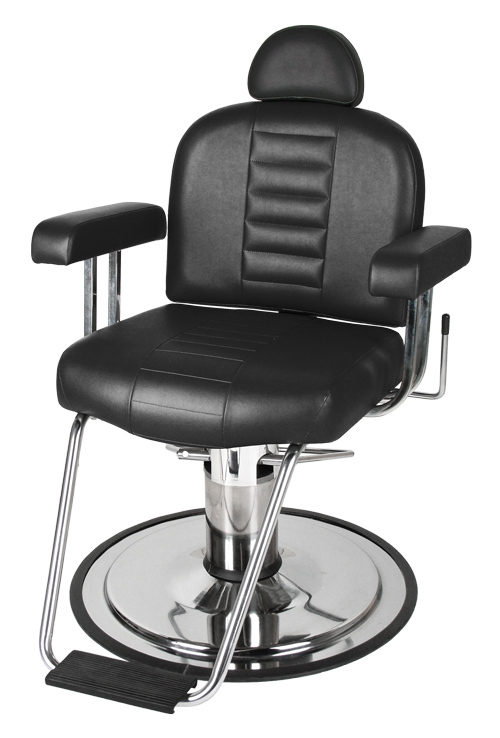 This high quality chair is heavy duty an stylish. It comes with a 5-year warranty on the hydraulic pump. Available in 33 different Vynil Colors. 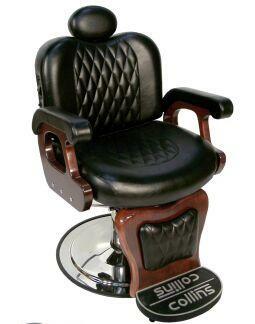 This chair will lean almost completely back and is perfect for any barber shop.? 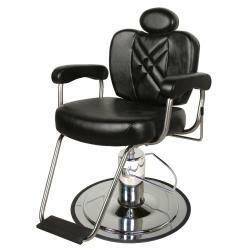 This high-quality barber chair is extremely heavy duty and durable than this is the chair! 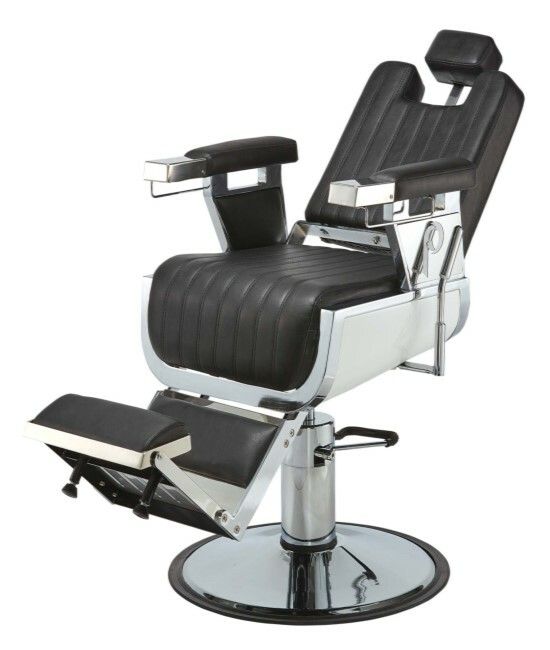 This classic-style barber chair comes on a 27" round hydraulic base and features a traditional platform footrest with a padded calf rest. " 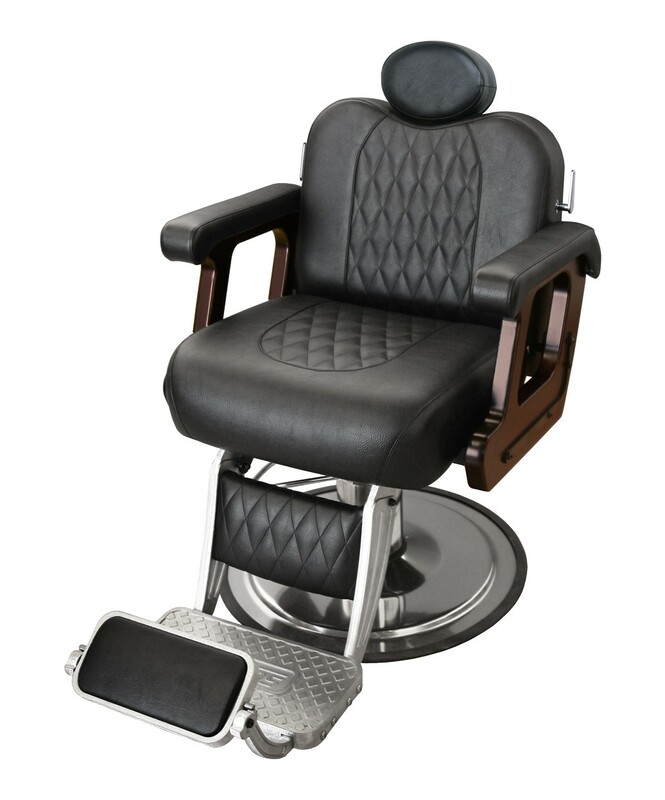 This barber chair is an extremely heavy-duty barber chair. It contains a very high quality hydraulic pump that includes a 3 year warranty. It has a vintage and classic look. 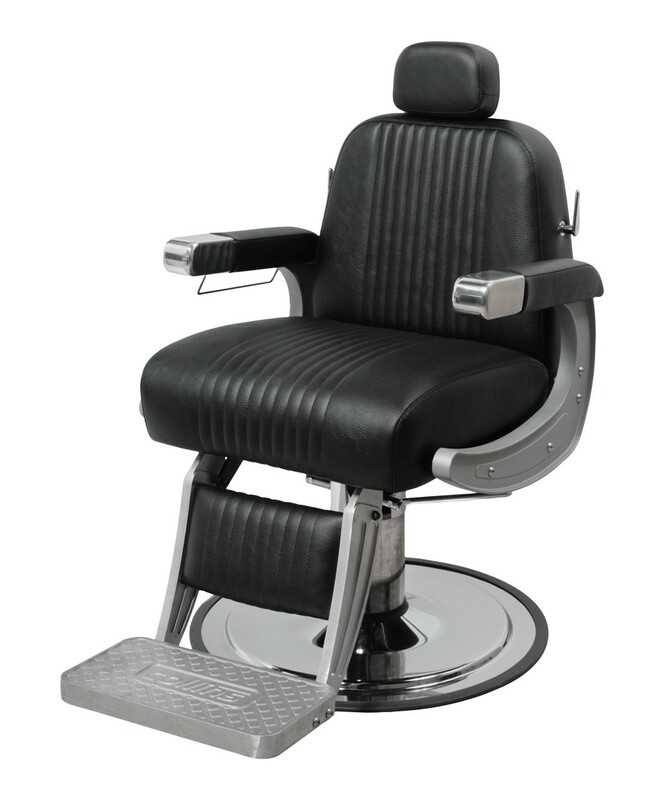 The vintage and classic look of the Pibbs 662 King ?Barber chair will give a retro stylish look for your barber shop. 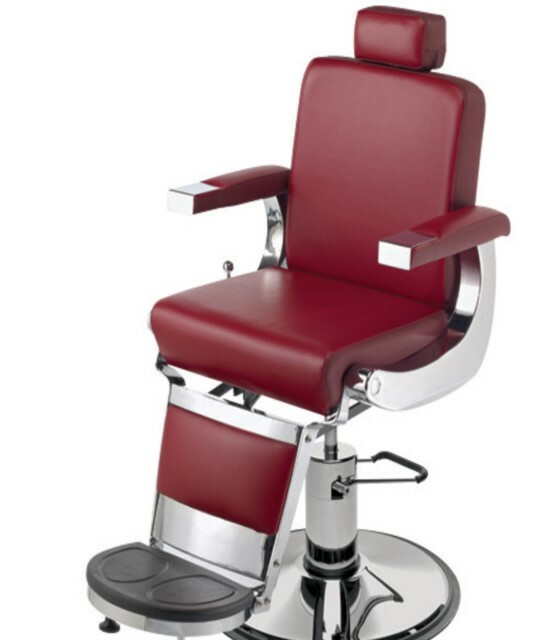 It has durability and come with a 2 year warranty. 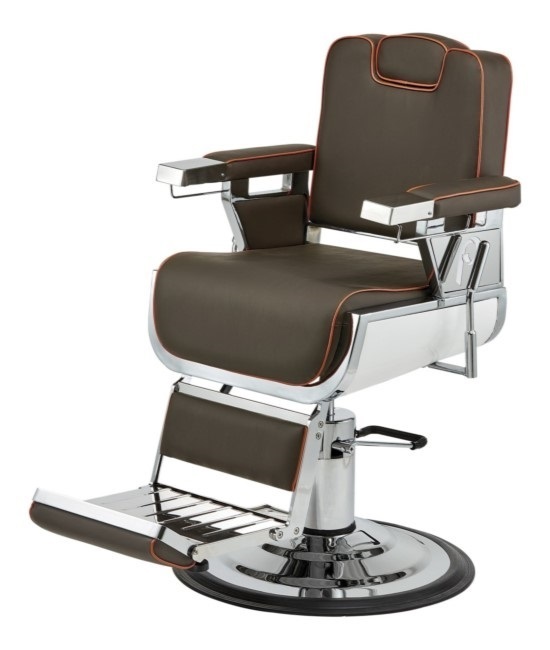 The Cosmo barber chair is available in 35 vinyl colors and can be customized with a two-tone color combination. 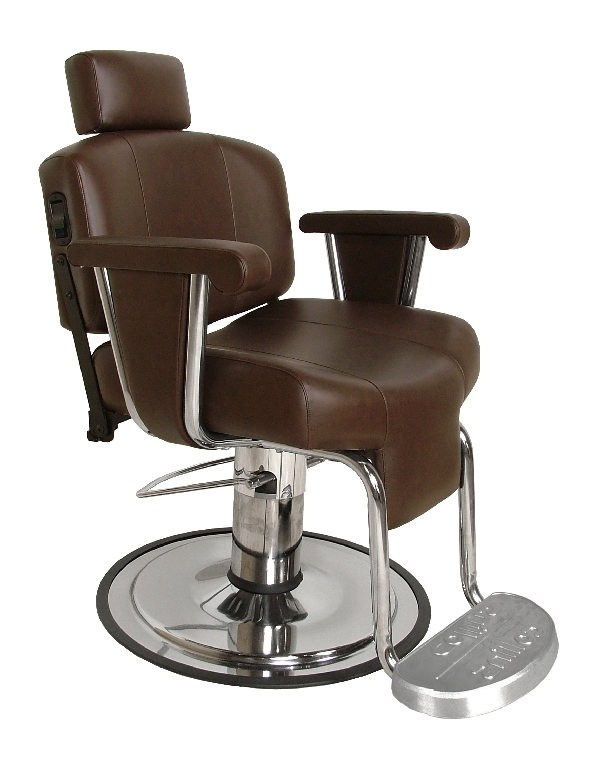 It is an extremely heavy-duty barber chair that contains a very high quality hydraulic pump with a 5 year warranty. 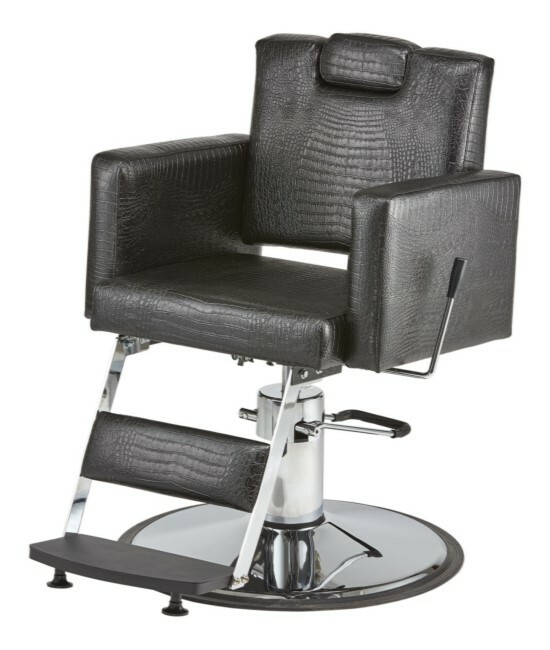 Expertly crafted by Pibbs the Master brings a touch of vintage style to your business. 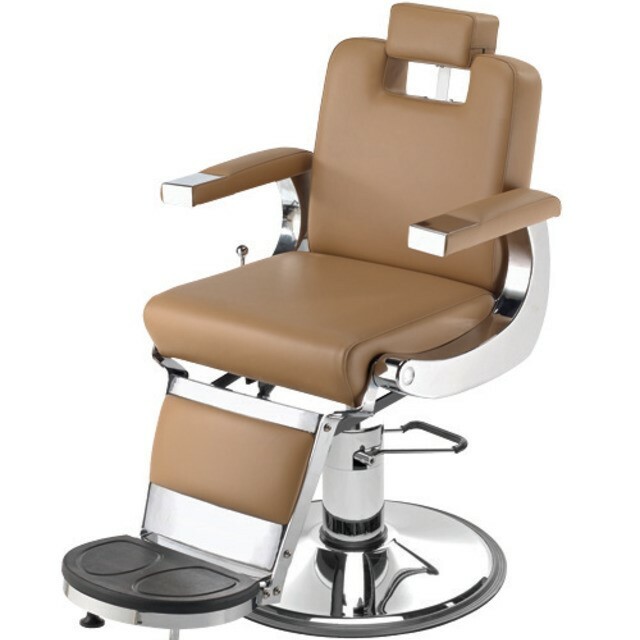 It features a full reclining mechanism with handles on both sides for your convenience. 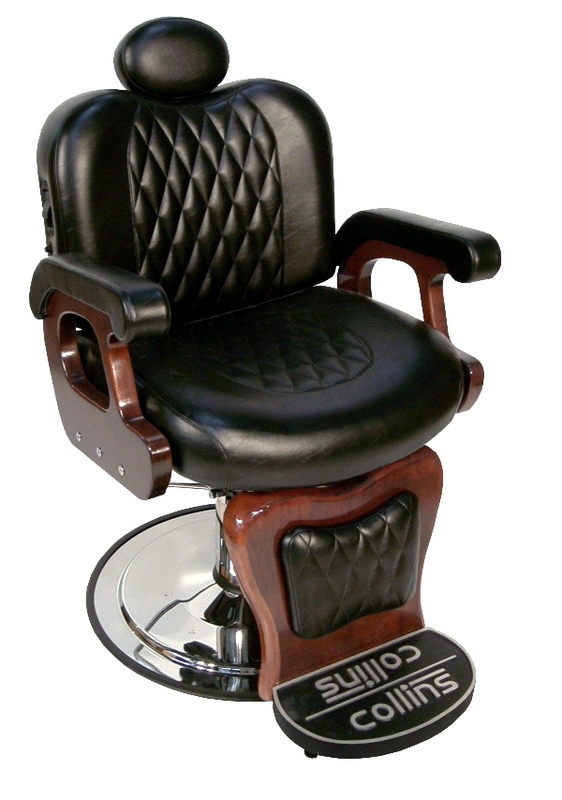 This chair will lean almost completely back and is perfect for any barber shop. Expertly crafted by Pibbs. 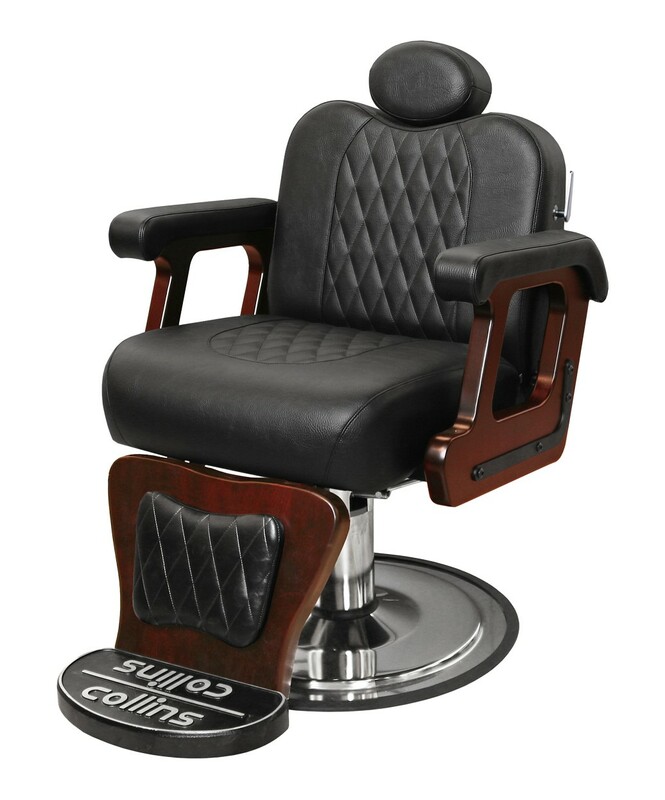 This barber chair features a durable lever controlled reclining mechanism and padded calf and footrest. 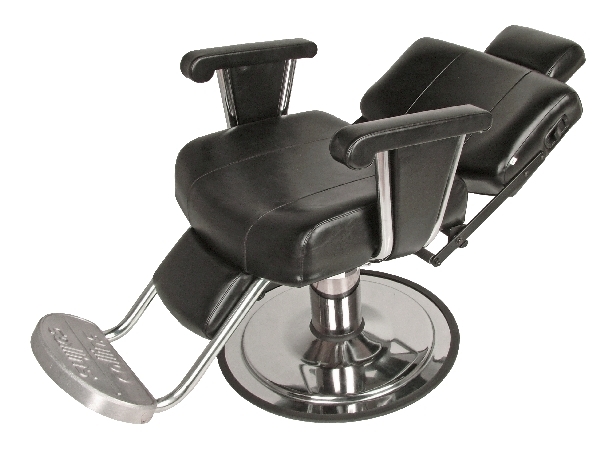 It's a high-quality barber chair. 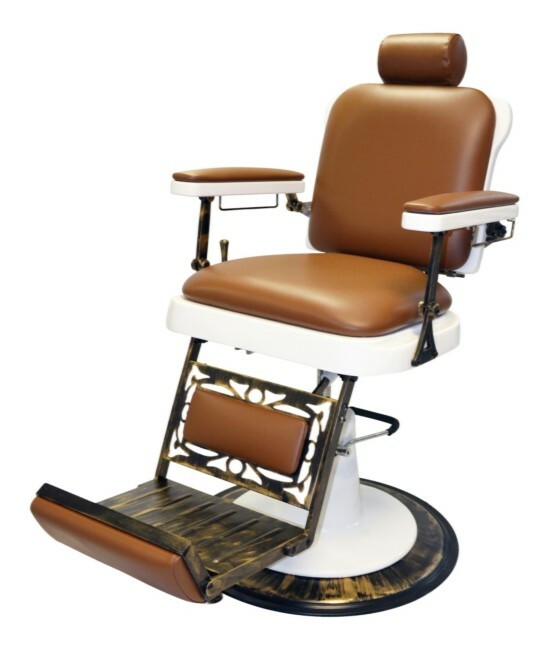 The Mr. B button back brass accent barber chair offers quality and durabilty adding style to any salon decor with its plush seat, back and leg cushions, padded foott and armrests! 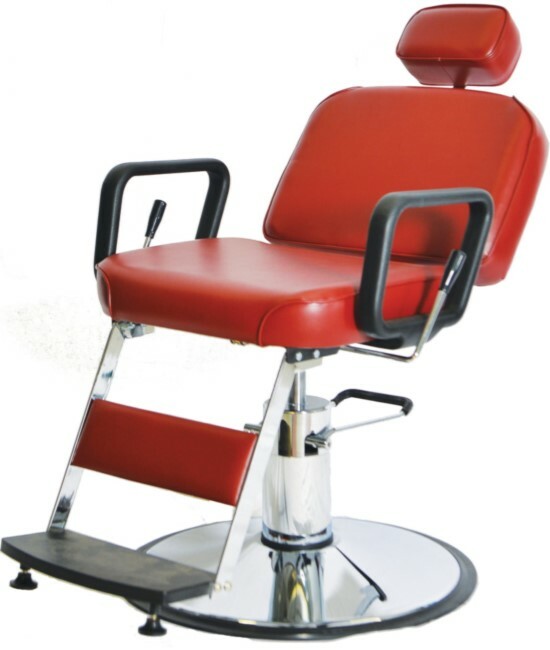 It has backrest that may be lowered to reclining position, a hydraulic mechanism for adjusting the height of the chair and a flip footrest. Available in uphostery vinyl. 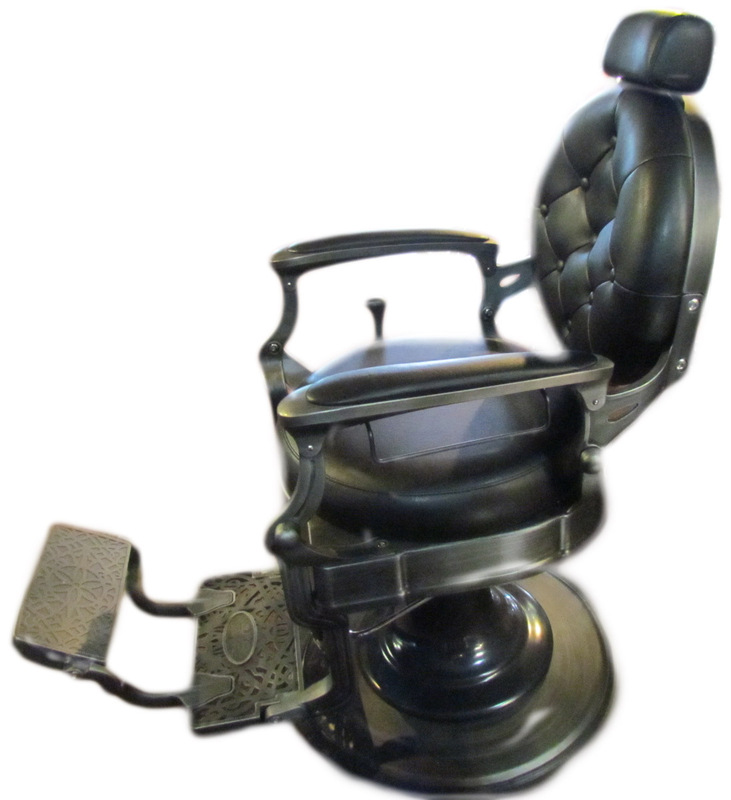 The Mr. B black antique metal accent barber chair offers quality and durabilty adding style to any salon decor with its plush seat, back and leg cushions, padded foott and armrests! 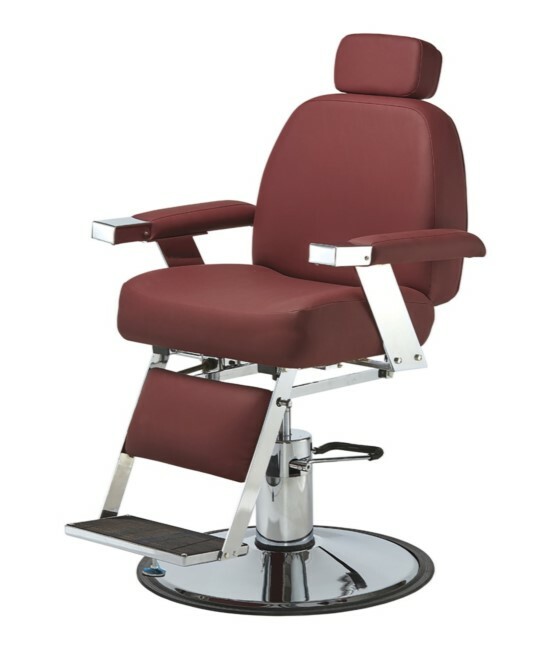 It has backrest that may be lowered to reclining position, a hydraulic mechanism for adjusting the height of the chair and a flip footrest. Available in uphostery vinyl. 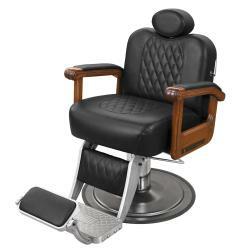 The Mr. B green molded back barber chair offers quality and durabilty adding style to any salon decor with its plush seat, back and leg cushions. 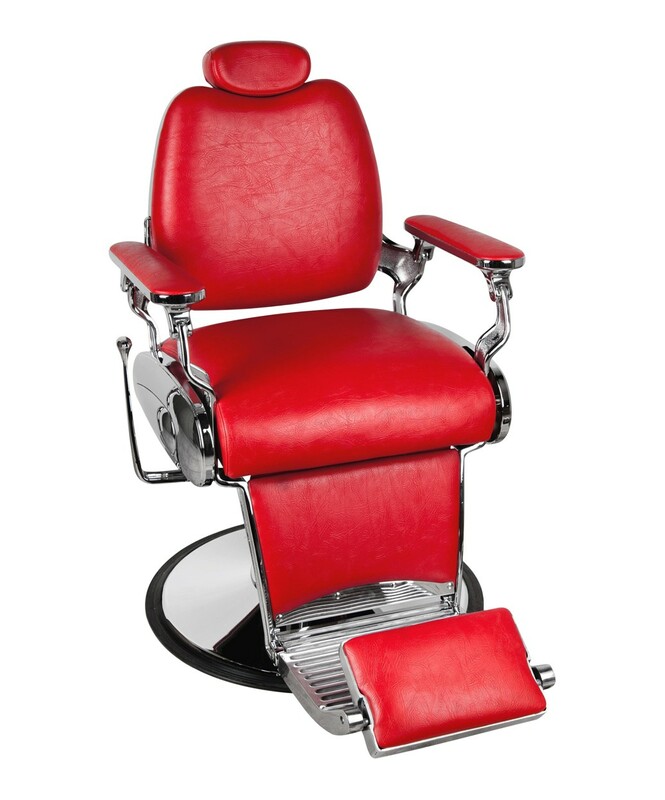 Comfort shapped footrest and armrests! 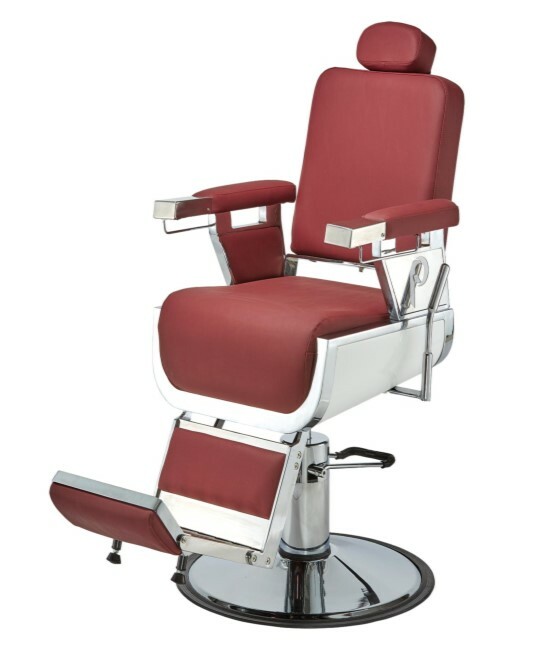 It has backrest that may be lowered to reclining position, a hydraulic mechanism for adjusting the height of the chair and a wide footrest. Available in uphostery vinyl. 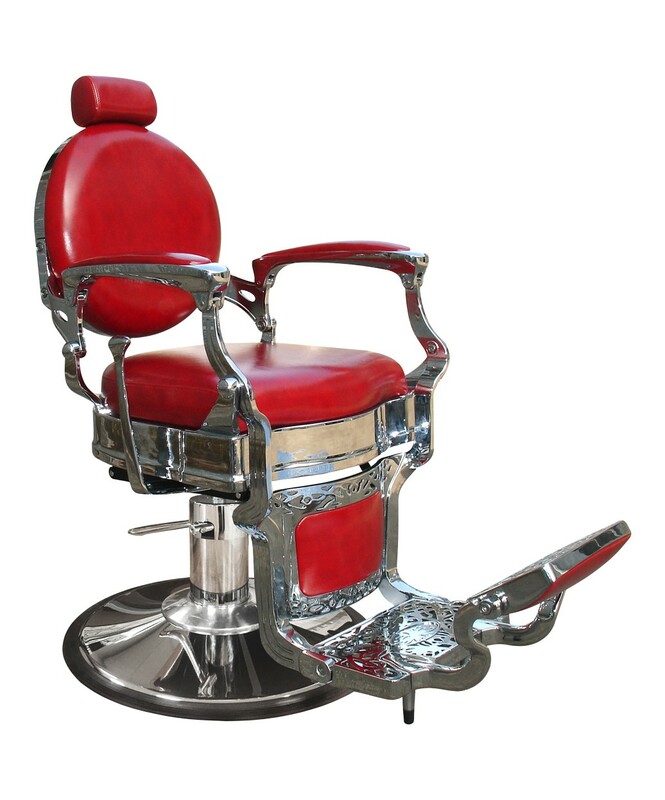 The Mr. B red diamond barber chair offers quality and durabilty adding style to any salon decor with its plush diamond pattern seat and back cushions. 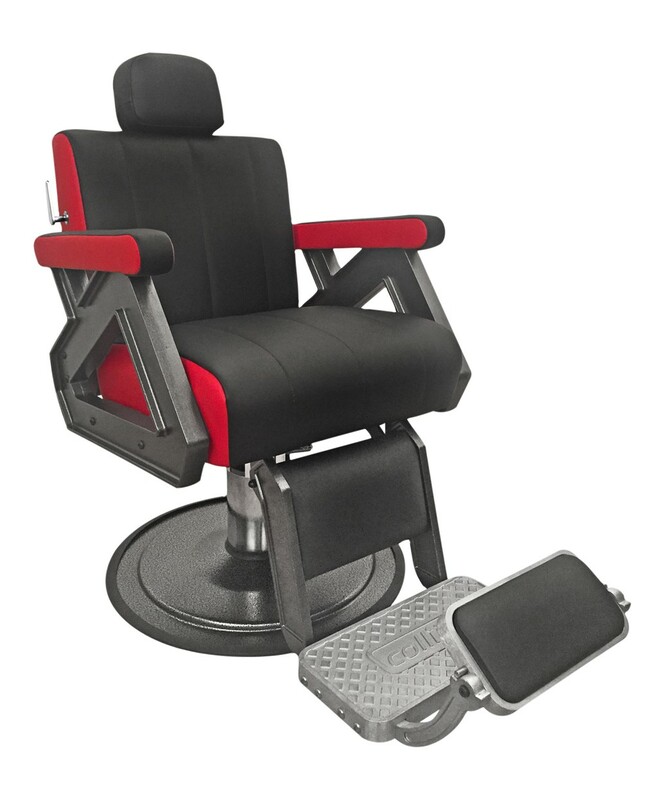 Comfort shapped footrest and armrests! 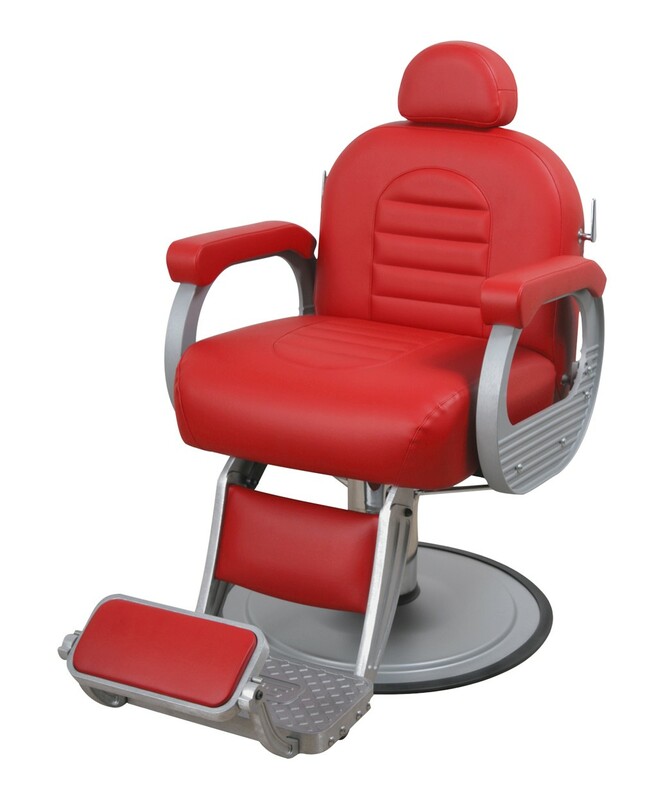 It has backrest that may be lowered to reclining position, a hydraulic mechanism for adjusting the height of the chair and a wide footrest. Available in uphostery vinyl.